This copy is not autographed. Nominated for two Oscars and hailed by Sports Illustrated and ESPN as one of the best sports movies of all time, this triumphant tale of a high school basketball team’s long-shot attempt to win the state championship is filled with edge-of-your-seat suspense and breathless excitement! 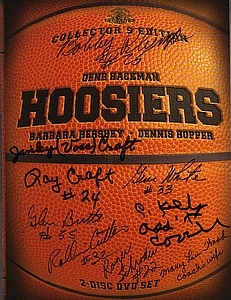 Featuring “fast-break cinematography that catches the pace of the game”(The Washington Post) and powerful performances from Gene Hackman, Barbara Hershey and Dennis Hopper, Hoosiers is a winner” (Boxoffice)! 30 Minutes of Deleted Scenes with Introduction by Director David Anspaugh and Writer Angelo Pizzo. Milan vs. Muncie Central 1954 Indiana High School Championship Game. 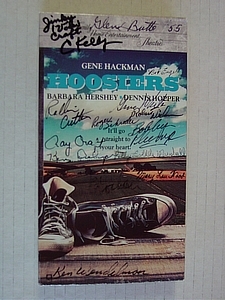 Audio Commentary by Director David Anspaugh and Writer Angelo Pizzo. 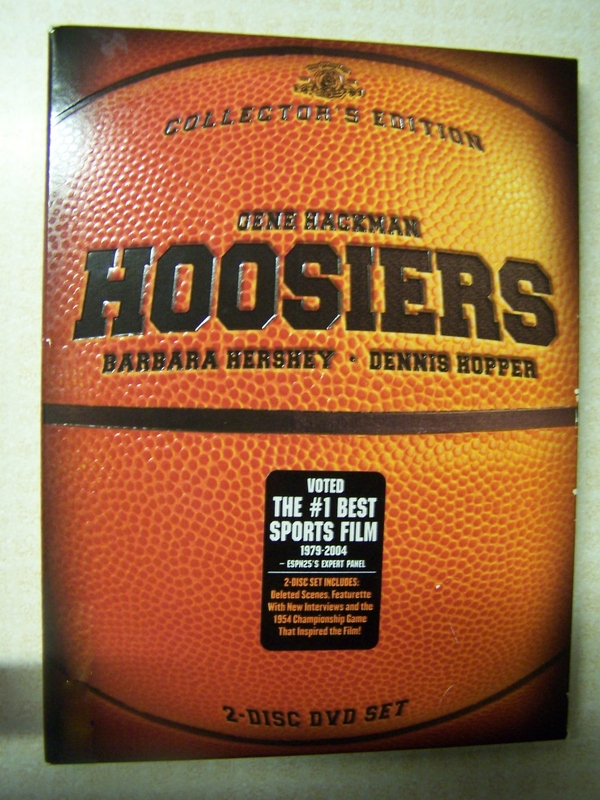 A must have for the Hoosiers fan. This copy is not autographed. Only a limited number available, get them while they last. Temporary delay on shipping item.